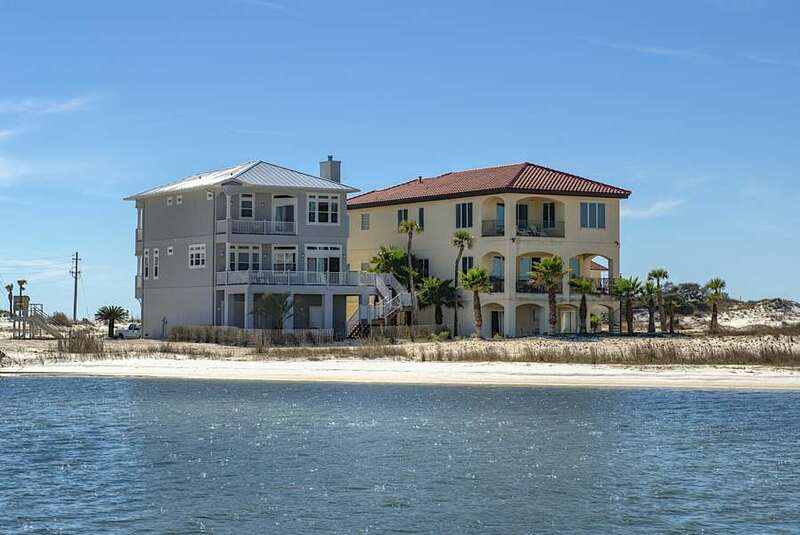 Come create the vacation of a lifetime in Villa by the Sea, a beautiful, newly renovated sound front home at the very private west end of Navarre Beach. 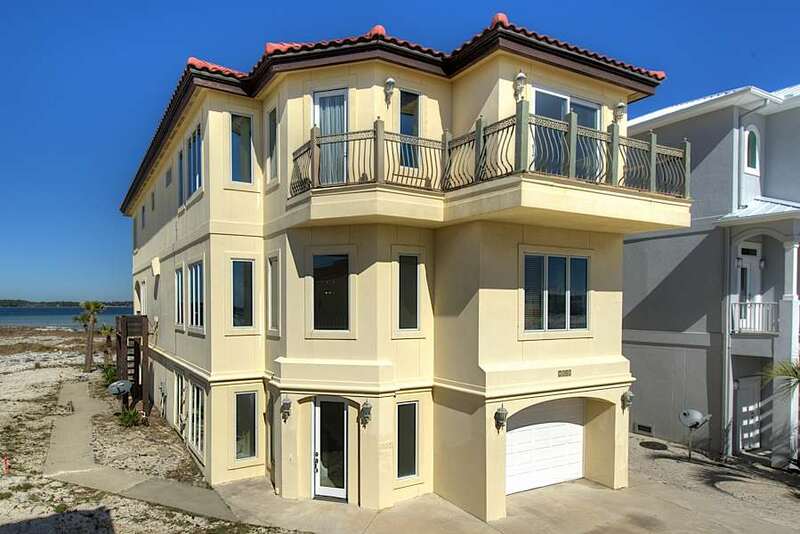 This 4 bedroom, 4.5 bathroom, 3800 s.f. 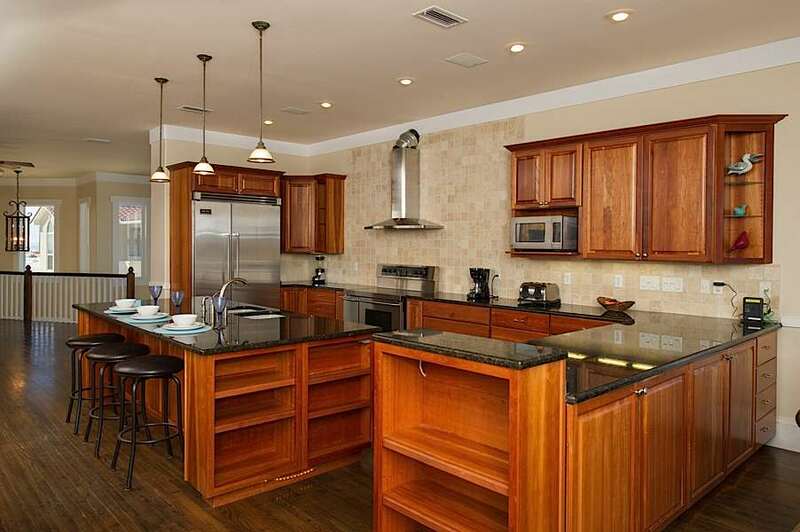 home is in a small gated community with a private community pool. 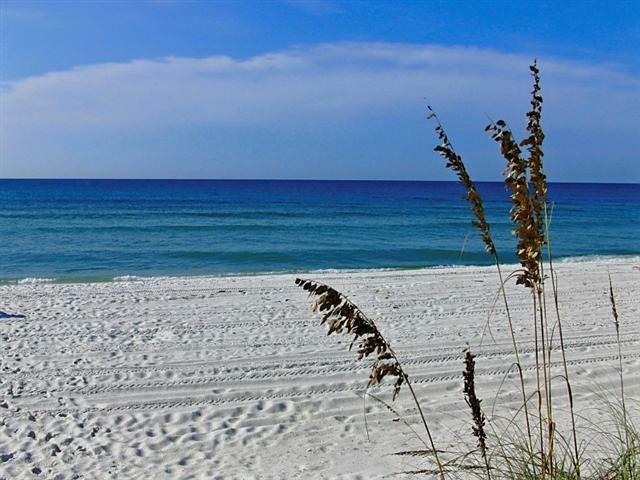 Located next to a deep water canal where you can anchor your boat, there is a sound side beach perfect for swimming. 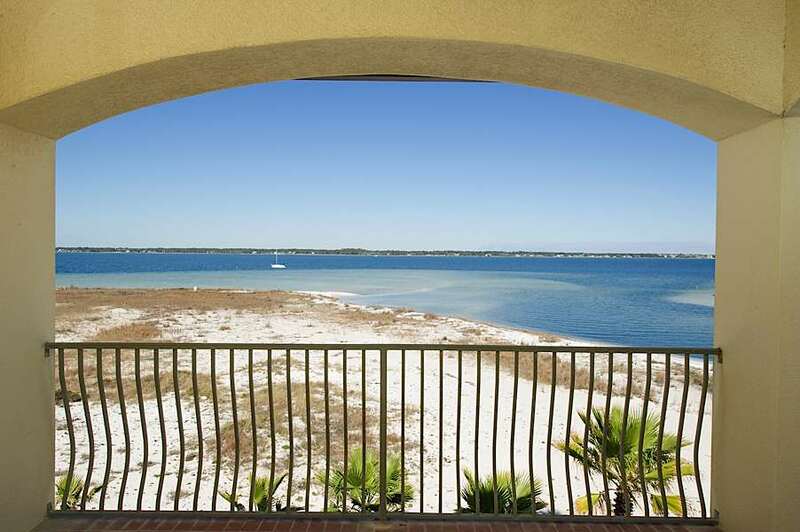 This home is just steps away from the emerald green waters of the Gulf of Mexico, and with the Gulf Islands National Seashore next door, this is truly a home you will want to return to again and again. 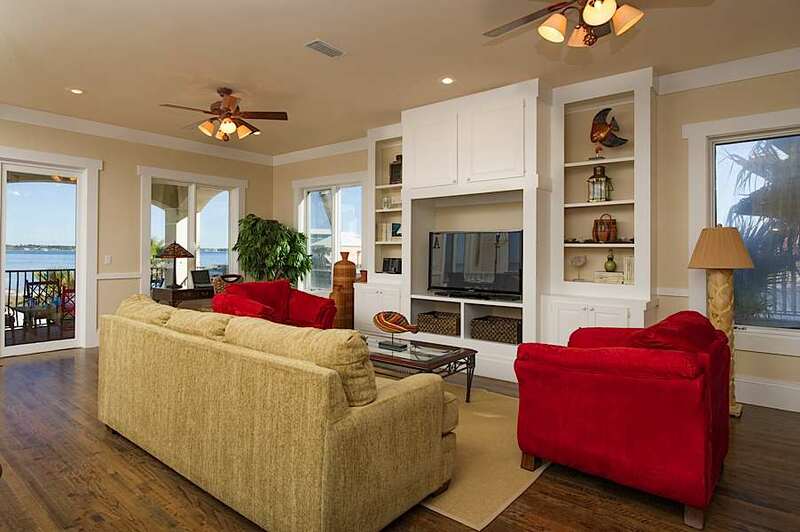 This home features 10' foot ceilings, hardwood floors, ceiling fans and beautiful moldings throughout and offers the most spectacular views of the sound or the gulf from any room. 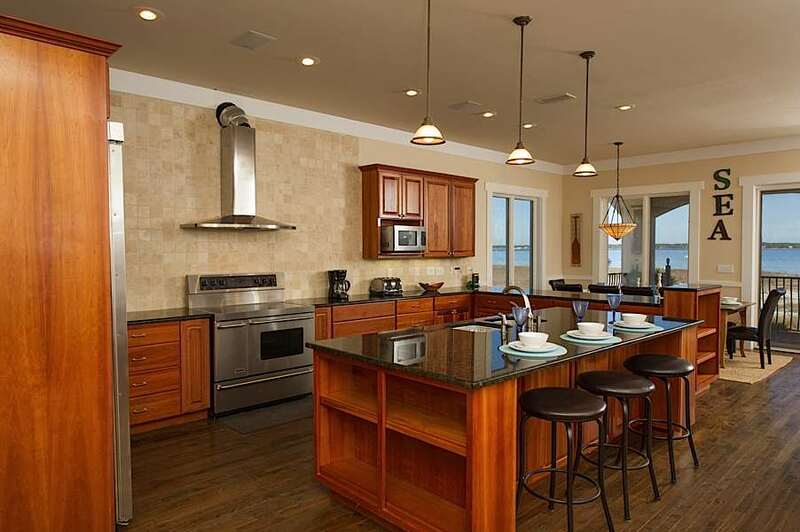 On the main floor is a large great room where you will find a fabulous kitchen featuring all new cabinetry, granite countertops, a Viking side-by-side refrigerator, five burner smooth top stove with two ovens, and a large island with counter seating; a cooks delight! The large dining table has seating for 10. 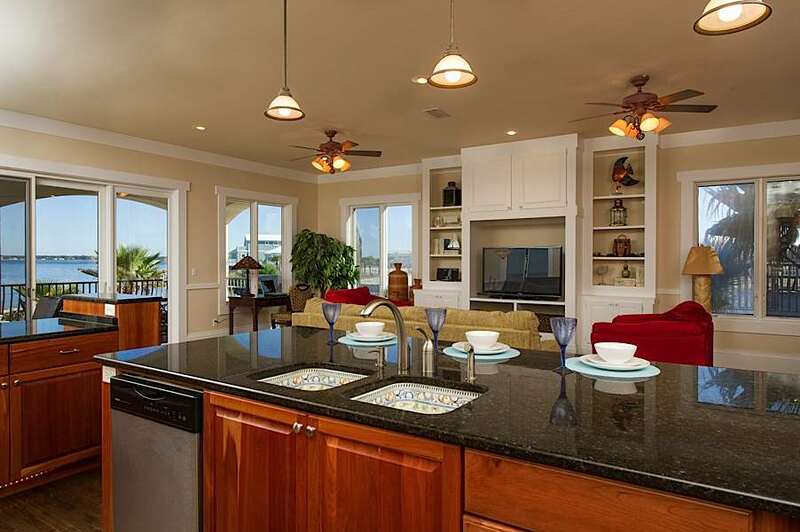 The living area features a wet bar with an ice maker and a 52" high definition TV with a DVD player where the family can gather for movies after a day spent at the beach. The bricked terrace off the main floor offers plenty of seating to take in the view and enjoy the evening sunset while grilling up the catch of the day or a steak. 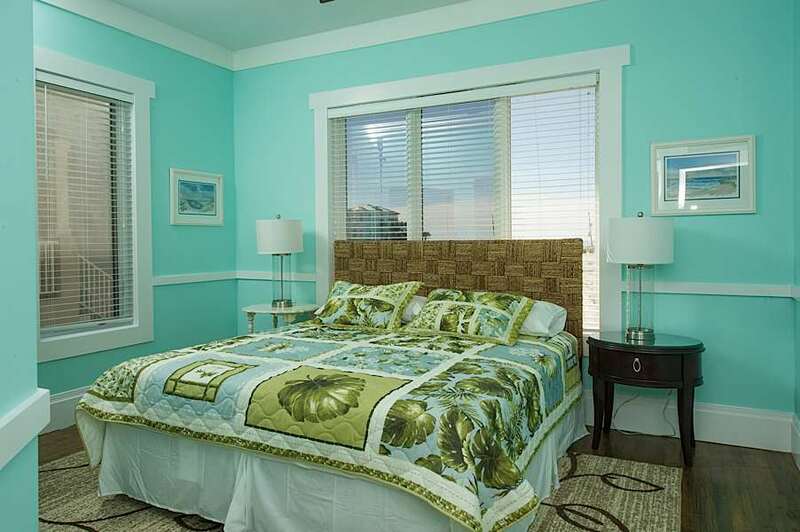 There is also a bedroom on this floor with a king bed and an on-suite bath with a large soaking tub and walk-in shower. 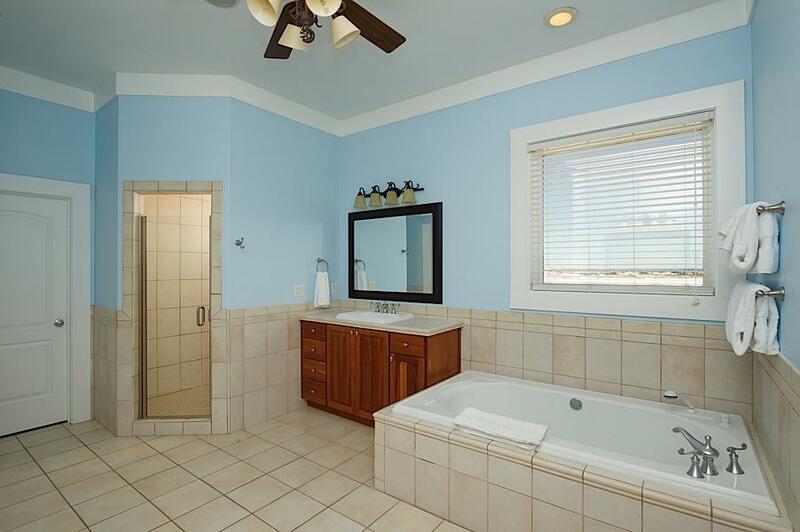 This floor also offers a half bath in the spacious landing area. 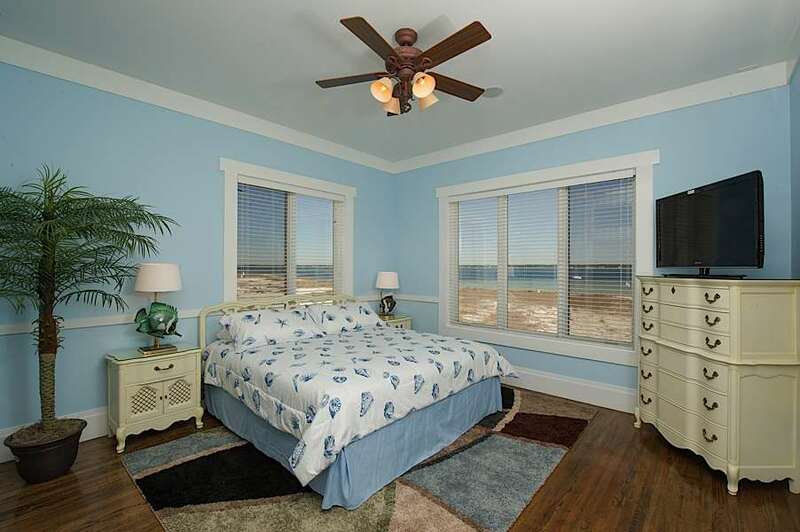 The second floor features the most outstanding master bedroom with 180 degree views, a sitting area with a 42" high definition TV and DVD player, a queen size sleeper sofa and a reclining chaise for when you need some time to unwind! There is also a private terrace. 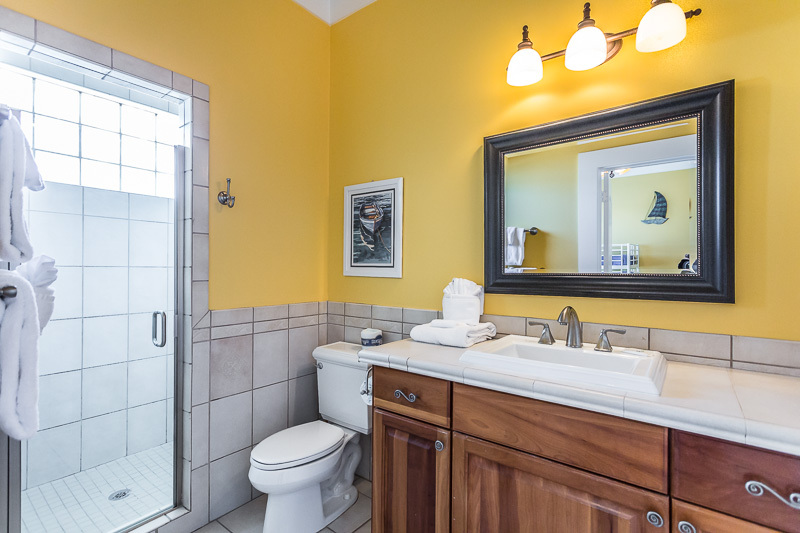 The master bath has a large soaking tub, walk-in shower, and split vanities There are two additional bedrooms on this floor; the first of which is perfect for the kids with a queen bed and a bunk bed with a full on the bottom and twin over. 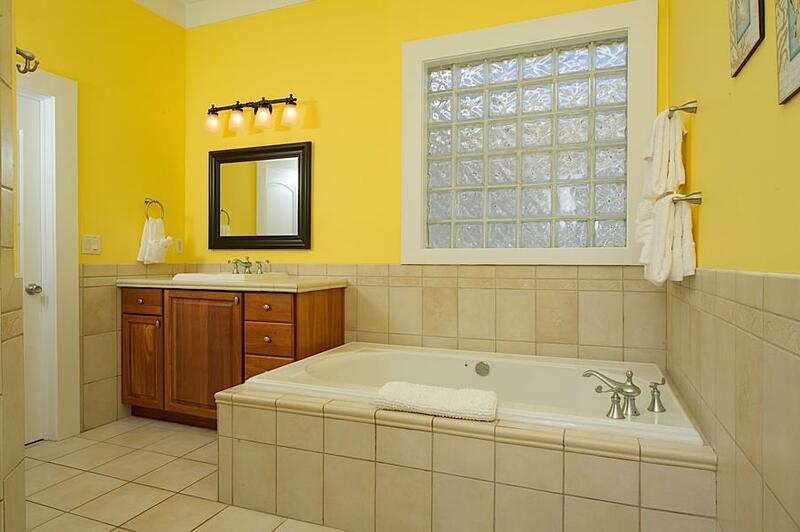 This room has an on-suite bath with a walk-in shower. 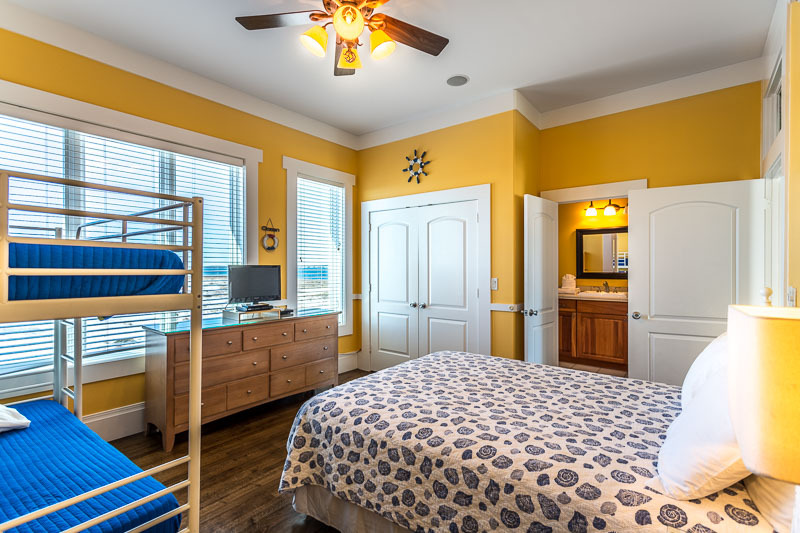 The second bedroom, with an unbelievable gulf and sound view, has a queen bed, a set of twin bunks and an on-suite bath with a soaking tub and walk-in shower. 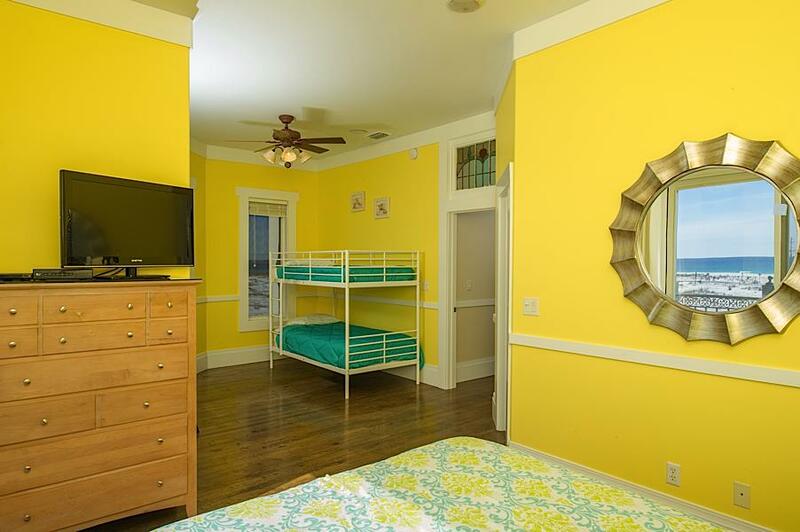 All of the bedrooms have a TV and DVD player. No pets, weddings or large group parties allowed. 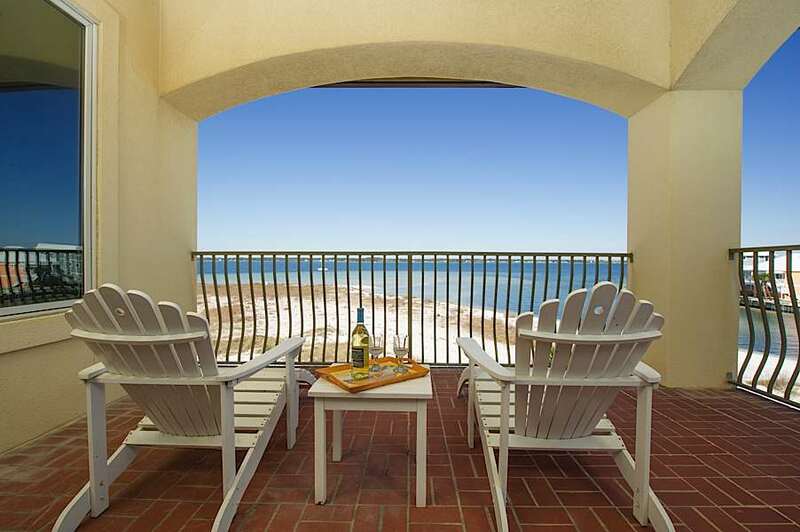 Don't wait to reserve your place in paradise! Spent the weekend with 4 couples that have been going on trips for many years. This is the nicest place we have stayed. 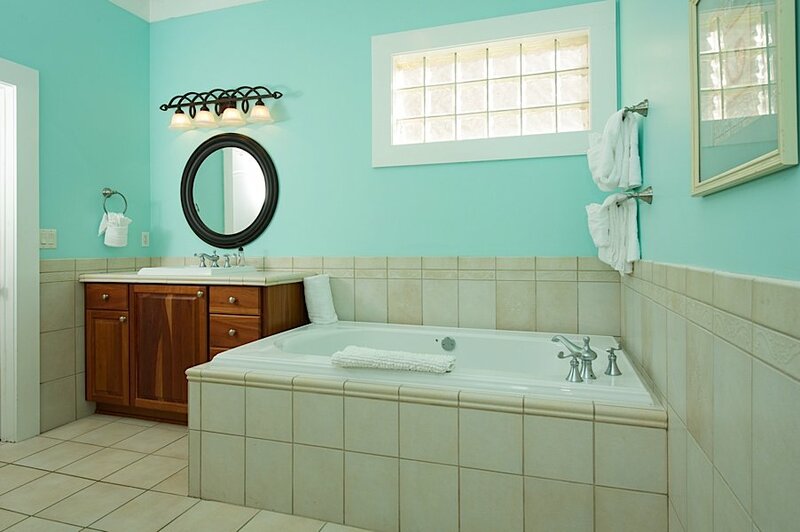 The house was so spacious and it was so nice that everyone had their own large bedroom and bathroom. Would definitely stay again. Great location and really nice house! House was exactly what we expected! 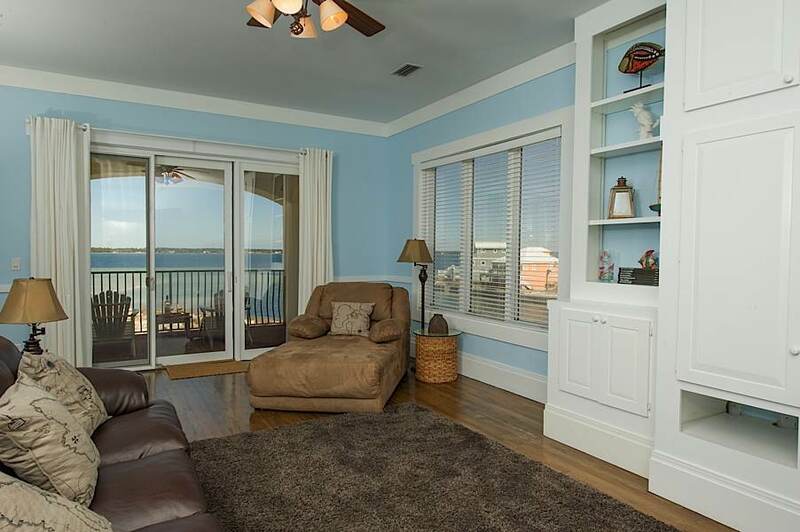 Close to the beach with the bay right out the back door. 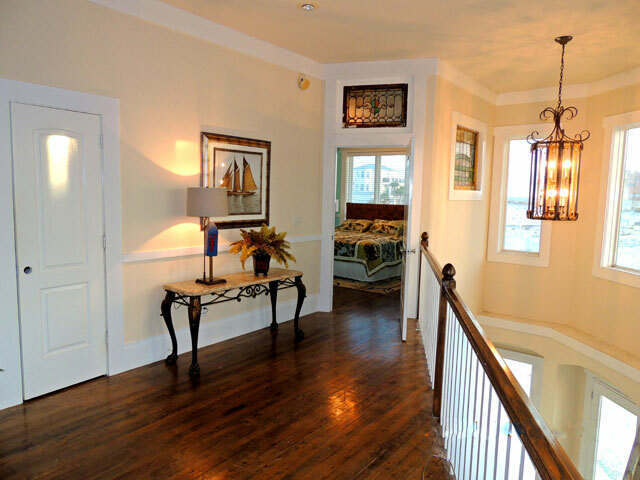 Property management company was extremely easy to deal with and very helpful. Great spot for the family!! 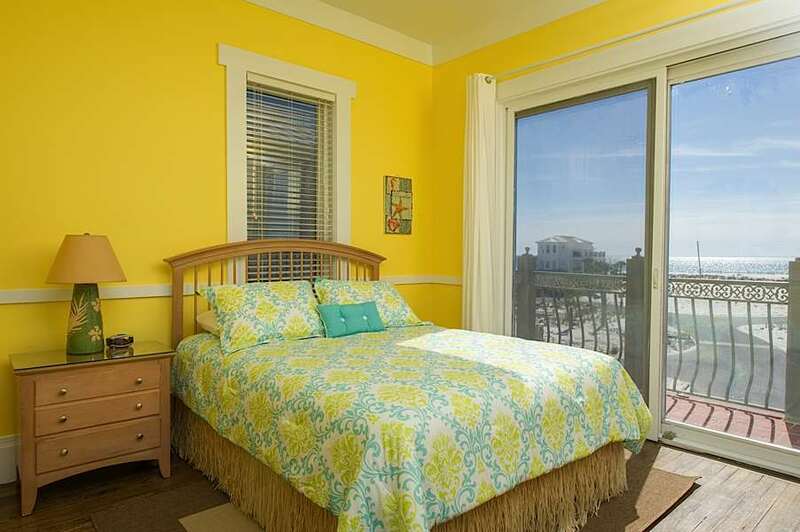 The Villa by the Sea was a wonderful place for our families to enjoy Spring break! 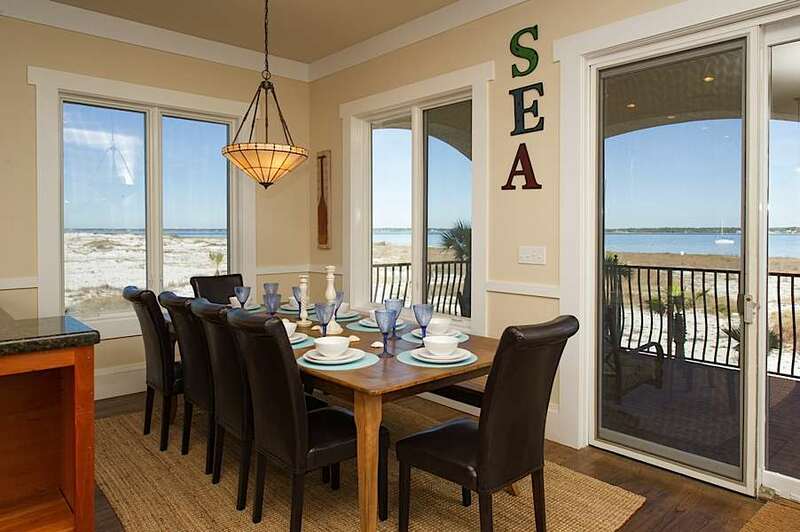 A beautiful home with great space for our kids and they especially loved playing in the sand and finding creatures along the edge of the sound. It was a fantastic week and we will definitely come again! 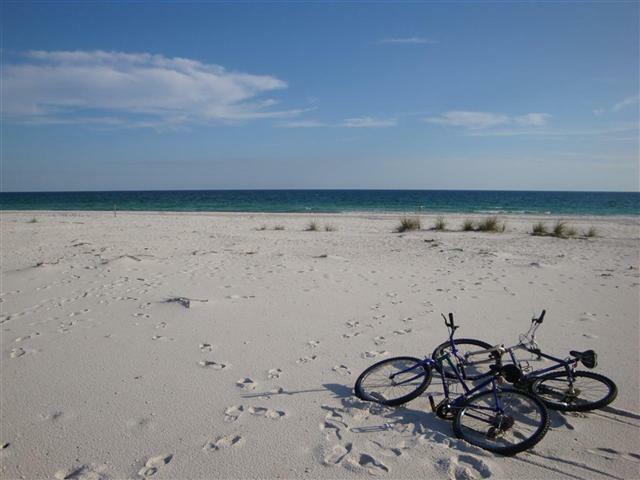 Our family has beeen coming to Navarre Beach for 3 years now. This is "By far" the best place we have ever stayed. We were looking for somehing ocean side but because of this location at the end of the beach, feel we captured the best of both worlds. We will be looking for this place again in the future. Thank you for offering your home. What a wonderful place to visit and stay! We've come two years in a row and simply love it! The house is beautiful and full of lovely nooks and crannies. Thank you for maing is such a great experience! We enjoyed your lovely home! 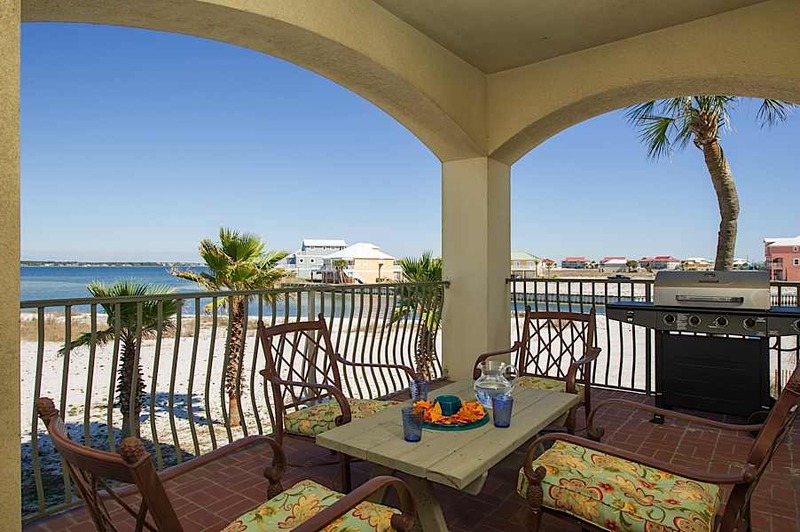 We've been coming to Navarre for years, and this is the prettiest place we have stayed! Thank you for opening your home to us. Thanks for sharing your wonderful home! This trip was the first trip for my family and the first time my daughter got to see the ocean! We hope to return again. Thanks for everything! This was our first time to Florida and we loved everything about it! The house was so incredibly nice and spacious. The water was so clear and the sand was so fluffy. This vacay was definitely one for the books! Thank you for giving us this amazing opportunity. We had a blast! What a wonderful place for vacation. Ocean and bay frontage. Huge, beautiful accommodations. Three families, 8 adults and 7 children ranging in age from 1-1/2 to 69 years old. Thank you for sharing your retirement home with us!